Project Thinking – not your usual 9-5! So, I am publishing this material rather earlier than I intended. Managing projects is not the same as managing production! Projects are not continuous; they have a start and [hopefully] an end. You only get one roll of the dice. This means that you can follow best practice, have a great team and do a good job of managing the project but still get a poor outcome. Your efforts influence your chances of success but you cannot rely on chance to even things out. Conversely, sometimes the worst organised and managed projects will succeed. The trick is not to be disheartened by the first case or fooled by the second! Often project managers forget that their project, however important it is to them, is a means to an end, the owners do not want the project; they only want the outcome, asset or capability. This means that you need to maintain a focus on the business objectives as well as the project objectives. 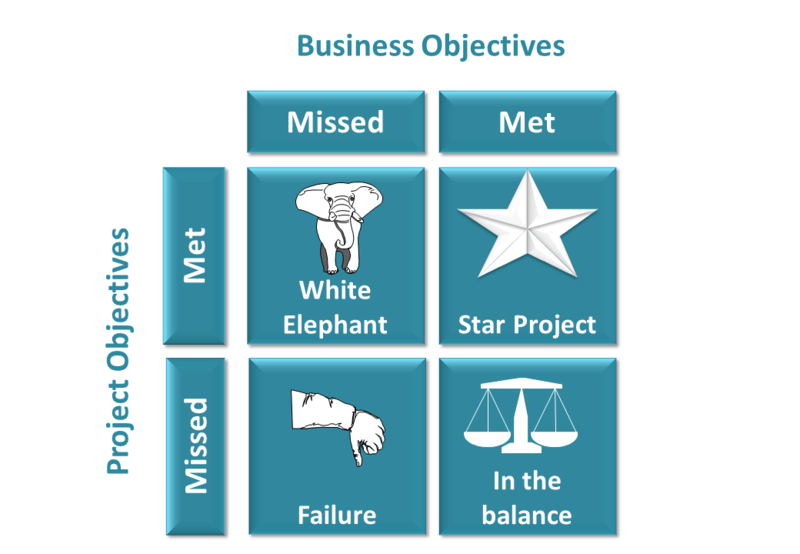 A project that meets its internal goals without meeting the business objectives cannot be a success – it may become a “White Elephant”. We live in a highly dynamic world today and the business environment can change very quickly, so keep the business objectives under frequent review. Things will change dramatically over the lifetime of most significant projects. As discussed in earlier postings, it is crucial that everyone involved is doing the same project. Without agreement on aims, objectives and scope there can be no concerted effort and factional pressures will hamper progress. Similarly, project managers are likely to focus on the content of the project: what is to be delivered or developed. To manage effectively, it is also necessary to focus some attention on the process and the context. In structured project management environments, the preferred methodology may set the process but a wise PM will keep this under review and keep evaluating whether the default approach remains appropriate in the light of developments.